The country’s peak body for donors, Philanthropy Australia, is embarking on a strategic plan which includes a bold new business model around membership and changes to its legal structure while still retaining its core policy and advocacy work. Lina Caneva spoke to CEO Sarah Davies about the changes for 2017 and beyond. Philanthropy Australia’s CEO Sarah Davies has now been in the top job since November 2015. Even in that short time she agrees that the terms “philanthropy” and “giving” have changed significantly both in Australia and globally and a new strategic plan for the organisation has required an evolutionary approach rather than a revolutionary approach. “When developing our 2017 to 2020 strategic map, we had to balance our rich heritage with the ‘now’ and the future. We had to recognise the incredible expertise and resources of our traditional members and to their commitment to philanthropy. But we also needed to acknowledge that philanthropy is changing,” Davies said. “We needed to respond to the emergence of new types of philanthropists, social entrepreneurs, new ways of giving, new ways of investing corpus, changing and blurring relationships between ‘givers’ and ‘receivers’ and the growing realisation that the social sector was very much part of the philanthropic community and they have as much of an interest in our success as do the funders. We also understood that corporates and intermediaries are critical to the success of our community. She said for the organisation, the drivers for change were simply about how philanthropy as a broad practice was evolving and changing and adapting and growing. However, Davies said one of the keys to Philanthropy Australia’s future success would be to change the way their supporters and members engaged with the organisation and the need to democratise the existing membership model. One of the big ticket items in the strategic plan is a new business model around membership that moves away from determining grant-maker membership categories and fees based on annual distributions. “This will mean that our members will be able to select the membership package that suits their needs, where price is related to the level of benefits offered and received,” Davies said. “We need to [be] relevant and confident that we add value and [we need to] work out how we do that in a business-like sense that is sustainable and viable. “We are no different to any other not-for-profit organisation. Our business model is 40 years old and the world has changed rapidly and we need to evolve this model so that it is viable in the next five to 10 years and I have no doubt [that] in seven or eight years we are going to have to have another go at evolving it. “We need a business model to address the changes in philanthropy that makes sense. Davies was quick to point out that the membership re-categorisation would not take effect until 2018. 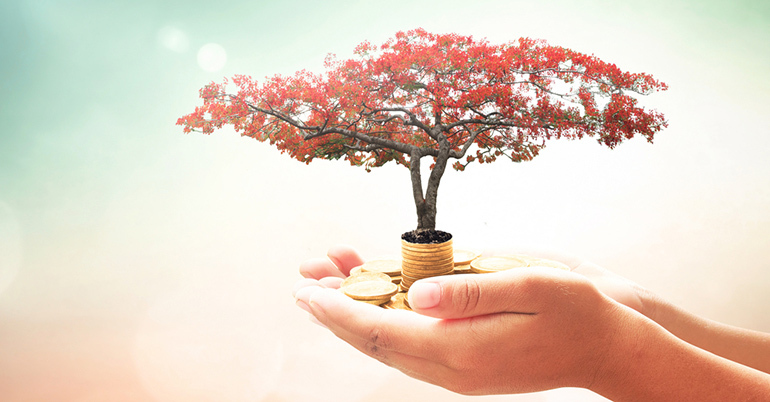 Philanthropy Australia will also be seeking grant-based support from its members who wish to support its activities in the advancement of philanthropy. Davies said another key to their ongoing success would be changing from an incorporated association to a company limited by guarantee. “In a really simple sense we are an incorporated association in Victoria which sort of means we can never hold an AGM outside of Victoria and that’s just not relevant in today’s world. “We are a national organisation and we have members all over the country and we want to engage and service them nationally and we need to be flexible and agile in that. “Secondly there are challenges in conceiving and designing and managing a skills-based governance structure for a council or a board… because despite the desire and intent and the work that it does you can’t actually deliver it. “The third reason is around the use of language. Under the incorporated associations act the word ‘member’ has a very clear meaning and also under the corporations act as well, but there is a greater restriction around how we can use language as an incorporated association. Davies said the legal change would separate more clearly the appropriate structure and behaviour and expectation of governance and proxy ownership in a not for profit and the culture and the purpose of the stakeholder group. She said there was an expectation that PA will hold a special general meeting in the later part of 2017 to ratify any moves to changes the legal structure. Davies said policy and advocacy would continue to be the core role of Philanthropy Australia in 2017 and that the current and emerging issues were “red hot”. “The bottom line is, as a membership organisation and a peak body, that at our core is the policy and advocacy piece and without a doubt it is our kind of beating heartland,” she said. “I think our significant advocacy points in the next couple of years are going to be about defending philanthropy. “My hunch is that as Australia faces the federal government’s revenue challenges there could be some storm clouds gathering over the suite of incentives that are used to encourage people to be philanthropic and make deductible donations… that will be huge. “We did ok on the franking credits last year and a lot of work was done and I suspect that will come back on the list at some point. “There’s a DGR review going on. We have got to really watch that and be active in understanding what the implications are and what it might mean and the whole issue of advocacy and funding advocacy we know has a got a red hot vibe that we are concerned about and we have then got the ‘in Australia’ provisions and what might happen there. Davies said along with all these issues PA was pushing for innovation and incentives to grow philanthropy. “So we are still pushing for different types of changes and structure and rules that will encourage and incentivise more philanthropy. One of the big ones is how to encourage more charitable bequesting. What are the range of models and incentives that we could put into play that people can take advantage of in their lifetime but actually guarantee increase philanthropic and charitable giving through bequesting. “We are still pushing hard on ideas and innovation into how we continue to feed and grow the philanthropic ecosystem.